Your income is going to be the biggest determination of what you can pay off. Although we like to imagine we can move money around or get a new job, that’s not practical thinking. Even if those things happen, it doesn’t negate the fact that you need to plan for that which you already know, which is your income right now. While it might be tough, it is possible to come up with a plan. According to Time, the current average debt for someone under 35 is $67,400, versus an average income of $39,416. 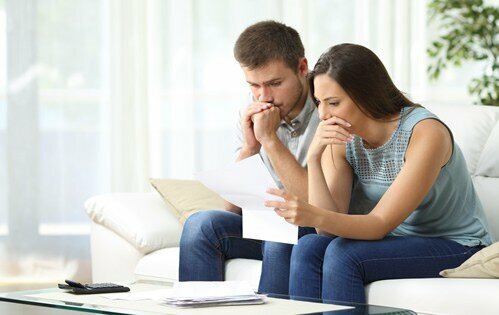 While those numbers stacked up against each other may appear reasonable, it’s also much more difficult when you break down the details of interest rates and fees. That’s why it’s smart to reorder your debts by priority. Take a look at items are costing you the most long-term and work those down, coming to a level where you don’t feel so bogged down. The more you’re able to dig out what’s costing you most, the better of you’ll be in paying down your debts faster, so make that a primary focus. Another important point in getting out of debt is cutting down on bad habits which plague a lot of us. This can be a tricky process, as these are often habits we’ve formed over the years that we deem not that bad or that haven’t affected us yet. However, those little things can add up quite a bit. Although it might not be the most fun, that’s why it’s critical to start nipping some of them in the bud ASAP. While I’m not saying that you should limit nearly everything you do, it’s a good pointer to reduce the excess. For example, as noted by creditcards.com, 67 percent of millennials use credit cards regularly; although their usage may vary, this can be a bad habit. Furthermore, other things like delaying payments or only going after the minimum can also hurt you as well. Because much as it might be frustrating, being able to cut down on what’s holding you back financially will feel like second nature in due time. One smart strategy for getting out of debt is looking into what financing options might be available to give you a better rate and pay down debt more quickly. These include items like reverse mortgages or debt consolidation loans, which give you better interest rates for putting your debt into one lump sum. Plus, you only have to worry about one bill, which gives you a much more favorable position in regards to keeping up with everything. And if this has been a consideration for you, then looking into what’s available could be key. For debt consolidation, there are plenty of popular strategies to consider. For example, reverse mortgages are a nearly $9 billion industry, and there’s a good reason why; you can borrow against an asset with equity. Being in a position like this is the most ideal, but other items like low-interest consolidation or putting everything on a credit card with no interest can be useful as well. Go out and check what options are most likely available to you, as financing out your debt can be a lifesaver. Finally, as any financial expert will tell you, saving is a cornerstone of being stable. Albeit, this is a position may have a hard time achieving because as noted by CNBC, 57 percent of Americans have less than $1,000 in their savings account. Saving is something that’s never too late to start. Take a look at your current take home and see what type of percentage you can take out of that to start a substantial collection while not sacrificing too much personally. Even if its five or ten percent, those numbers could go a long way. Try to package what you can pay off first from your current debts, as sometimes knocking things out in one swoop can be a relief. Remember, these are habits you’re trying to develop for your day-to-day, so be patient with your approach and strive to have a healthy financial foundation for life. What are some hacks you’ve found to getting out of debt quickly? Comment with your answers below!